Aquila 36 is a power catamaran that blends plentiful live aboard space and qualities perfect for socializing with rugged strength and control. 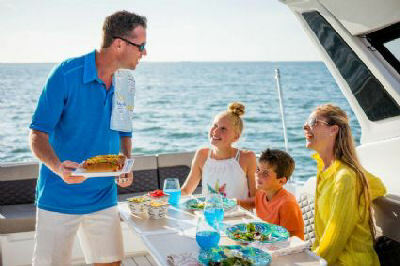 Offering the conveniences of a large yacht including topside summer kitchen and bbq grill, the Aquila 36 has cockpit seating for four adults and two comfortable cabins with private en-suites. Boasting Aquilas signature fresh evolution of classic boating traditions where efficiency in design and performance compliment her luxurious living spaces. 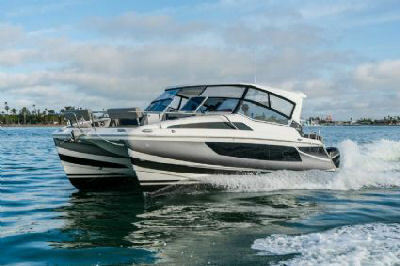 Miss Saigon is a very popular power boat for either a honeymoon couple or family. 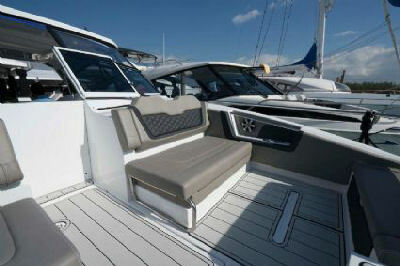 Both her flybridge and aft deck will comfortably seat 7 people. Unsurpassed luxury for the astute client, the Fountaine Pajot Cumberland 46 will far exceed your expectations. Equipped with 4 double cabins 4 ensuite bathrooms, air conditioning, microwave and plenty of added extras to make your holiday on the water a very special one indeed! Free nights now available! Boat Licence & previous experience required. Designed for entertainment and ultimate relaxation, "Pluton" combines performance with fuel economy. 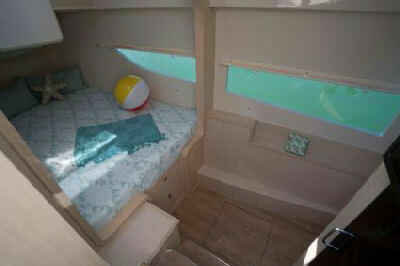 The 3 cabins and 2 bathrooms will comfortably accommodate 6 guests. 2014 model powerboat with twin 200hp engines. Capable of holding 6 passengers. A safe, easy to use luxurious power catamaran with unrivalled comfort at sea, the Lagoon 40 is a premium bareboat charter choice or a holiday in the Whitsundays. 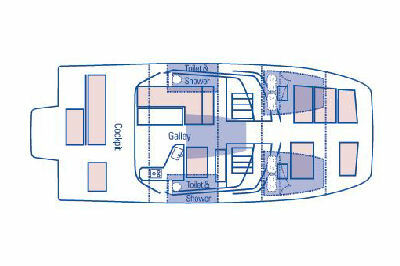 Charisma features 2 queen size cabins, 1 double cabin, a small single berth suitable for a child plus the saloon can be utilized as another single berth. With 2 bathrooms she is perfect for 3 couples or an extended family. 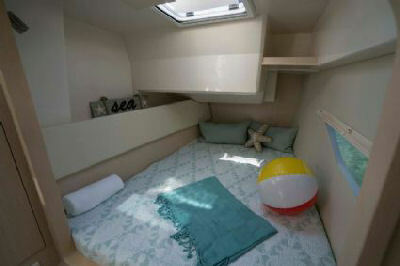 The Perry 44.5 is a spacious power catamaran with 4 cabins (2 en suite), large galley and a comfortable saloon. 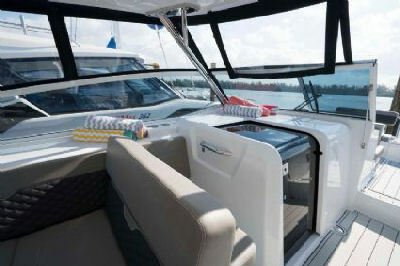 Outside on the flybridge there is plenty space for everyone to sit back and enjoy the beautiful Whitsundays. A spacious flybridge, galley and after deck makes this power catamaran a breeze to navigate around the Whitsundays on your bareboat holiday. A well known and popular vessel developed specifically for the charter market, the Voyager 1040 has space and comfort in mind for the avid bareboat charterer and family.